Well that was cutting it a little too close. 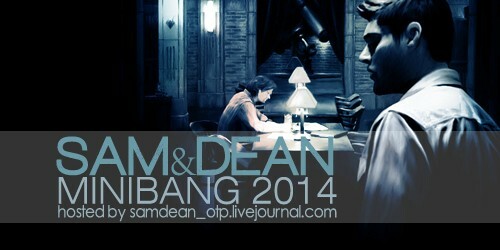 With like 10 seconds to spare before the deadline, I sent off my Sam&Dean mini-bang draft. After working on it all day, unexpectedly losing 2 hours to a Benadryl induced nap because of an allergy attack, just as I was getting ready to send it, a whole bunch of stuff happened. My husband came home early without any advance warning, and sat there talking to me while I was trying to write the summary (ack!). That would have been bad enough on its own. But then my computer crashed completely,locked up, had to take the battery out and everything. Then my VPN went down so I couldn't connect to gmail (thanks to the Great Wall of China) and upon re-booting Windows 8 forced an update install. But finally, off it went and now it's on the Artist Preview list with 36 others. I'm looking forward to seeing which artist I get to work! Always nerve-wracking, but worth the wait. Can't wait to read so many of these, they sound awesome! I am of the firm opinion that we will always always always need MORE Sam/Dean or SamnDean fic. Anyone want to trade doing betas on this thing with me?